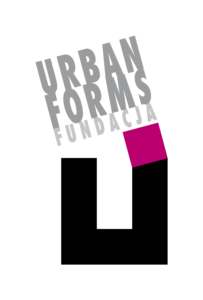 The Urban Forms Foundation was created in 2009. We focus on broadly defined city culture and on organizing, promoting and supporting independent artistic initiatives in public space. We want to change city space by raising its quality and aesthetics. We see artistic activities as important tools in education and social revitalisation. We want to promote “living” culture and art, direct them towards people and make it possible for them to take an active part in organized events. We propagate every activity that aims at revitalizing our city and county as well as the whole country through artistic creativity. Our fundamental mission is to saturate the cityscape with creative, multilayered and modern art that would improve the current image of Lodz, giving it a truly artistic and original value. The main tool to reach our aim is large format painting done directly on the side elevations of buildings. The reason is that it changes the appearance of a given space permanently. Urban Forms Gallery is the main project of the foundation. It is a permanent street art exhibition in public space of Lodz. When we started creating a gallery of murals in 2009 Łódź was a different city. In that city and in that time murals were something unusual, often controversial. Now they have taken root in the urban tissue, become part of the landscape of Łódź. At the same time, Łódź is now rapidly changing and is perceived as an open and dynamic city of new possibilities. It speaks with the energy of its people, its architecture and its history. Another thing that is changing are the expectations of its citizens regarding the arrangement of space and the place of art within it. We observe those changes and react to them: we create street art in its many aspects and dimensions: we go deep into the city, into its backyards, open to cooperation with both the local communities and the local authorities. We are fascinated with the fact that high-quality street art. Not only pleases the inhabitants but also serves the historical buildings by imbuing them with new life. We are proud to accompany such a numerous group of artists creatively reshaping the public space. In this manner the energy of art and the people interweave and permeate the energy of the city.